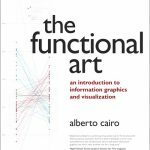 This weekend finally my copy of The Functional Art arrived, Alberto Cairo’s long-awaited introduction to infographics and visualizations. Jubilant reviews can be found around the web, so I will focus on just one chapter, not very surprisingly number 9: The Rise of Interactive Infographics. What’s the purpose of interactive features?